University of Georgia Press, 9780820323749, 278pp. 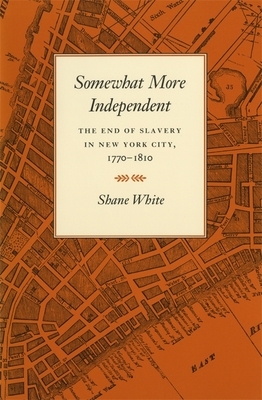 Shane White creatively uses a remarkable array of primary sources--census data, tax lists, city directories, diaries, newspapers and magazines, and courtroom testimony--to reconstruct the content and context of the slave's world in New York and its environs during the revolutionary and early republic periods. White explores, among many things, the demography of slavery, the decline of the institution during and after the Revolution, racial attitudes, acculturation, and free blacks' "creative adaptation to an often hostile world.